Subhan Zein is a PhD candidate at the Australian National University (ANU) and he is an English Instructor at the University of Canberra English Language Institute. Subhan is the author of Malula, a novel published in his home country, Indonesia, in 2010. The beautifully crafted and brilliantly enjoyable fiction is a mind-captivating spiritual journey of Wijaya Kusuma and Jennifer Frazer, a couple who embark on an everlasting quest of finding God. 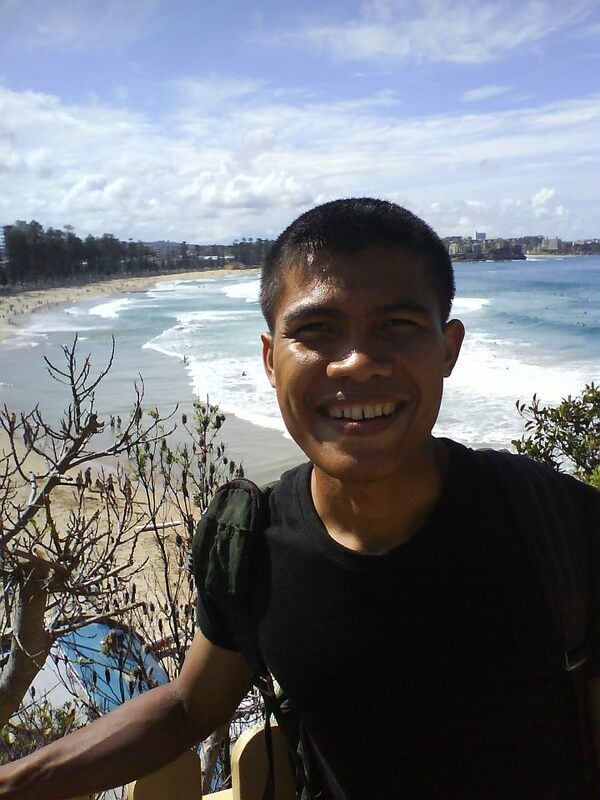 Once a political activist and former president of various youth organizations including PPIA (Perhimpunan Pelajar Indonesia di Australia/The National Board of Indonesian Student Association in Australia), Subhan is a man in a new episode of life. He dreams of becoming an international author. 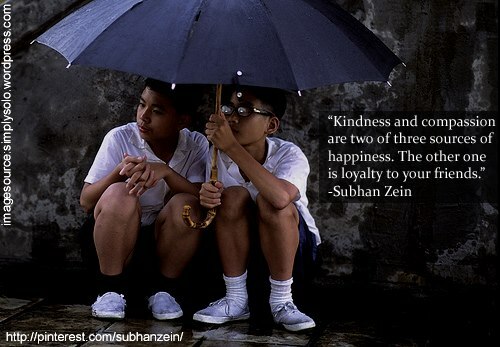 Currently working on two novels, Subhan also writes flash fiction and poetry regularly in www.subhanzein.wordpress.com. As some of you (bloggers) may know, Subhan is a fellow blogger who has over 1200 followers. I am deeply grateful for the support that he continues to provide for my blog. Subhan kindly agreed to share his thoughts and experiences with me and it is with great honour that I am able to feature him on this blog. Enjoy! (MP = Maryanne Pale, SZ = Subhan Zein). MP: You were born in Indonesia and raised in Australia, what are the major differences between the two countries and do you miss your birth country? SZ: Indonesia has the best food, whereas Australia has the best skies in the world. I do miss my country. Check out my Facebook Page and Twitter and look at the background of my picture, then you can tell how much I miss my country. MP: The background to your Facebook Page and Twitter is a great representation of the love that you have for your birth country. As for the Indonesian food, please describe your favourite Indonesian dish. SZ: My favorite Indonesian dish would be Sayur Kangkung. It’s Indonesian water spinach, it’s spicy and salty, better with some anchovy flavor. Hehe. MP: Sounds divine! I must see if there’s an Indonesian restaurant here in Auckland that serves Sayur Kangkung hehe! So, you write great poetry that I enjoy reading, what is it about poetry that you love? SZ: Thank you! Well, I love everything about poetry! But mainly because poetry is the light that travels between two people in love. That is. MP: Oh nice! I’ve never heard anyone describe poetry like that, beautifully captured! Will there be a publication of your collection of poetry soon? SZ: Well, my collection of poetry will be the novel that I would call ‘The Disciple’. Please have a look at the sample to get a much better grasp of the project. MP: Oh wow! Thanks for the sneak peak into your latest novel! (Click on this link to read: SNEEK PEEK: Chapter 3 ‘Love The Disciple’). In Chapter 3, I love how you have described love in such a way that it encapsulates both the beauty and rawness of it. Can you tell us a little more about your latest novel ‘The Disciple’? SZ: Well, it is spiritual poetry-based fiction, and is based on my contemplation on life and my own experiences. I would like to write this book as something that would give a long-life impact to people, something like a modern-wisdom that is treasured from ancient philosophies kind of thing. Actually, I have two projects that have been lingering in my mind for quite some time. ‘The Disciple’ is the first of the two projects. MP: Well, ‘The Disciple’ sounds very intriguing and after reading Chapter 3, I am looking forward to seeing it upon its’ completion. You mentioned that you’re currently working on two projects, what’s the second one? SZ: Yes, the second one is a fictitious memoir, based on the amazing experiences of my students. You know, teaching English to international students in Australia has given me so many things to learn. I feel very much fortunate to have been acquainted with a lot of wonderful people who just happen to be my students. Here’s the blurb, to give you a general idea. MY STUDENTS COME FROM ALL OVER THE WORLD. JAPAN, SOUTH KOREA, CHINA, CHILE, TURKEY, MEXICO, VIETNAM, UNITED ARAB EMIRATES, SUDAN, SAUDI ARABIA, ISRAEL. THEY ALL LEARN ENGLISH FROM ME. I LEARN LESSONS ABOUT LIFE FROM THEM. Every classroom is a miniature of the world. The day I met my students was the day when miracles began. It’s when the greatest lessons of life were unravelled. I have completed several chapters of these two projects and I am very much passionate about them. However, I cannot work on them at this time of the year because I have to complete my doctorate. So what I have been doing so far is to refine the ideas that I have at the moment, and reshape the format of the projects. It is very much necessary to brainstorm the ideas as good as possible, so that when the time comes, I can write them perfectly well. MP: Wow! Thanks for sharing the blurb. It provides an insight not only to your current project but also to your global classroom. It must be interesting to work with your students and what a great way to document your experiences. Is there a preference in your choice of writing poetry and novels? MP: That is inspiring indeed! So what is spiritualist poetry? SZ: Well, spiritualist poetry is the kind of genre that I write. I am not sure whether they have a proper definition on this, but for me the term refers to the use of poetry to convey spiritual messages that blend philosophy and wisdom. This is the genre that I am working on in my current book project, ‘The Disciple’. MP: You’re extremely busy with work, doctoral studies and creative writing. What do you enjoy doing during your downtime? MP: Nice! I haven’t seen ‘Skyfall’ and so that might be an awesome one for me to watch. I love James Bond hehe! Even in your downtime you still have great ways to feed your creativity! So what fuels you to write? SZ: It is the love to share and to serve to humanity through the written word. MP: Love it! So, who are the people that have influenced and/or inspired you to write? SZ: Well, there are many people who have inspired me to write. They are Kahlil Gibran, Jalaluddin Rumi, Gabriel Garcia Marquez, Pramoedya Ananta Toer, and Paulo Coelho. These are brilliant people that I learn a lot from and have inspired me a lot to write. 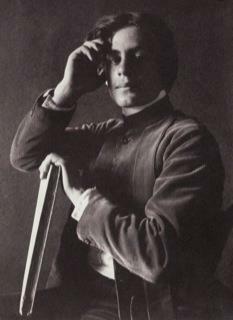 Gibran in particular, who I had mentioned earlier, is someone who inspired me to write in English. He was a Lebanese who didn’t speak English until his youth, but was then able to emerge as one of the most prominent writers and in the 20th century. I think that is amazing and I learn a lot from him. In addition, I am one person who always believes that while we may want to learn from as many people as possible, it is always best to learn from geniuses, to learn from the brilliants. Exposing ourselves to the works of the geniuses in order to learn from them is surely not a shortcut, but it is indispensable in our journey in honing our writing skill. That is why I try to expose myself to the works of brilliant writers such as Mario Vargas Llosa, Jean-Paul Sartre, Salman Rushdie, Leo Tolstoy, Ian McEwan, and others. So, in one way or the other, I am also inspired by these people. MP: Wow! Thanks for your insight. I agree with you on becoming familiar with the works of brilliant writers! You are a passionate writer, what is it about writing that you enjoy? SZ: Thank you, well I guess the biggest challenge of every writer is to create the world in his mind into beautiful strings of words that form a convincing art. And this is something that I enjoy very much. MP: Absolutely beautiful! What advice would you like to offer aspiring writers? SZ: Ah, you flatter me. I am an aspiring writer myself, I don’t feel that I have the authority, confidence, or expertise to give advice to other writers. But surely one day when I get really famous, haha! I’d be more confident to do that when that happens. MP: You are humble and I appreciate what you’ve shared in this interview. Thank you so much for your time Subhan. One day I hope that we will meet in person. That’s what is great about blogging, the fact that bloggers are able to connect with people around the globe in an online community that shares the same interests and not to mention passion. Is there anything that you would like to add? SZ: I thank you very much for featuring me in your blog, Maryanne. It is a wonderful opportunity and I would love to visit New Zealand one day, to meet you, Maryanne, in person and to meet other talented Tongan poets and writers as well. It is going to be a wonderful thing to be encircled with people who have strong penchant for literature and are passionate about life. Many blessings and much love to you all. Great conversation Maryanne! loved the talk with Subhan! Iam already a follower and a fan of his..
Great to hear from you. Thanks for visiting my blog, I truly appreciate it. Isn’t Subhan wonderful? He is such a humble man and I’m grateful to be able to feature him on my blog. I look forward to reading more of your work. Have a wonderful week. As an Indonesian I am proud of Subhan, he has gold heart and one thing that I loved … he is down to earth. It’s lovely to hear from you. I am happy to read that you are Indonesian and that you are proud of Subhan. He definitely has a humble soul and a beautiful spirit too. His blog inspires many and I’m honoured to have featured him on my blog. That’s what I love about blogging, we are all able to connect as an online global community, sharing our love and passion for poetry, writing and more. I look forward to reading more of your work. Thanks for stopping by. Have a great week. Ya, he is the man. We have the same thoughts of blogging, and I really enjoy for having lot of friends from different countries with their extraordinary abilities. Subhan, is a radiant light to all who know him! I am blessed to have him as a friend and brother…he is such a very inspiring young man with a great and noble heart! As you well know Maryanne…nothing in this world will ever keep his spirits light from shining. Wonderful Post! You are abosutely right, Subhan is a radiant light! I am honoured to feature him on this blog. Your kind words are truly humbling. Thank you for your continuous support on this blog. Your works are amazing. I look forward to reading more of your poetry. Have a fantastic weekend. Thanks for stopping by. I appreciate your time that you provided for this interview. Thanks for your kind words, I am both honoured and humbled. Keep up the brilliant work. It’s lovely to connect with you on this blog. Thank you for visiting and I am glad that you are a fan and follower of Subhan’s works. He is truly inspirational. Thank you also for the forllow, I truly appreciate it. Have a wonderful weekend.